Recently, Burkina Faso celebrated the second anniversary of its popular uprising on 30 and 31 October 2014 that put an end to the Compaoré regime after 27 years. 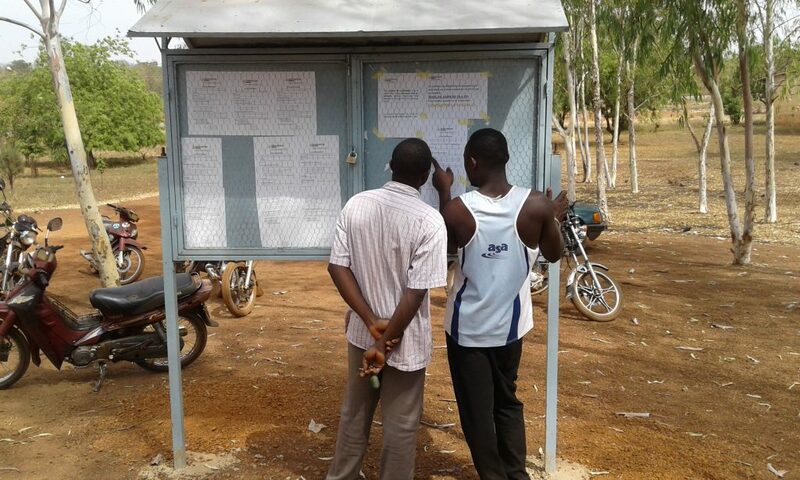 Parliamentary and municipal elections were held in November 2015. The new government under President Roch Marc Christian Kaboré and Prime Minister Paul Kaba Thiéba faces a number of daunting challenges and expectations. One of the challenges is a reorganization of the mining sector. According to a report published in October 2016 by a parliamentary commission of inquiry on mining titles and the social responsibility of mines, the Burkinabè state suffered a profit loss of almost a billion US dollars between 2005 and 2015 due to corruption, mismanagement and speculation in the mining sector. Since 2007, Australian, British, Canadian, Russian and South African corporations have opened ten industrial mines in Burkina Faso. In 2012, Burkina Faso became the fourth leading gold producer of Sub-Saharan Africa after South Africa, Ghana and Mali, overtaking Tanzania. These rapid changes represent a considerable challenge to a poor country whose economy largely depends on cotton exports, development aid and remittances. Several developments have led to the emerging debate around gold mining and the parliamentary inquiry in Burkina. During Compaoré’s rulership, there were allegations that the gold mining sector was informally controlled by his brother François, his wife Chantal and several ministers and businesspeople close to the president’s family. Burkina Faso signed up for membership in the Extractive Industries Transparency Initiative EITI in 2008, under pressure by international donors on the government to enhance transparency in the mining sector. The country gained candidate status in 2009 and has been a “compliant member” since 2013. In November 2011, the National Assembly passed a bill for the creation of a Brigade nationale anti-fraude de l’or (National Gold Anti-Fraud Brigade, BNAF) composed of customs officers, gendarmes, and policemen. During the phase of increasing unrest after widespread protests and mutinies in 2011 that preceded the uprising in 2014, there were several protests and acts of vandalism against industrial mining companies that became more widespread during and after the uprising. In 2015, a report by the Swiss NGO Berne Declaration (since 2016 Public Eye) “A Golden Racket. The True Source of Switzerland’s ‘Togolese’ Gold” unveiled that an estimated seven tons per year of artisanally mined gold left the country unrecorded, undeclared and untaxed. Burkinabè private gold buying companies smuggled the gold into Togo. Thus, gold from Burkina Faso ended up in Swiss refineries as “Togolese gold”. However, Togo is a country that does not officially produce any gold. 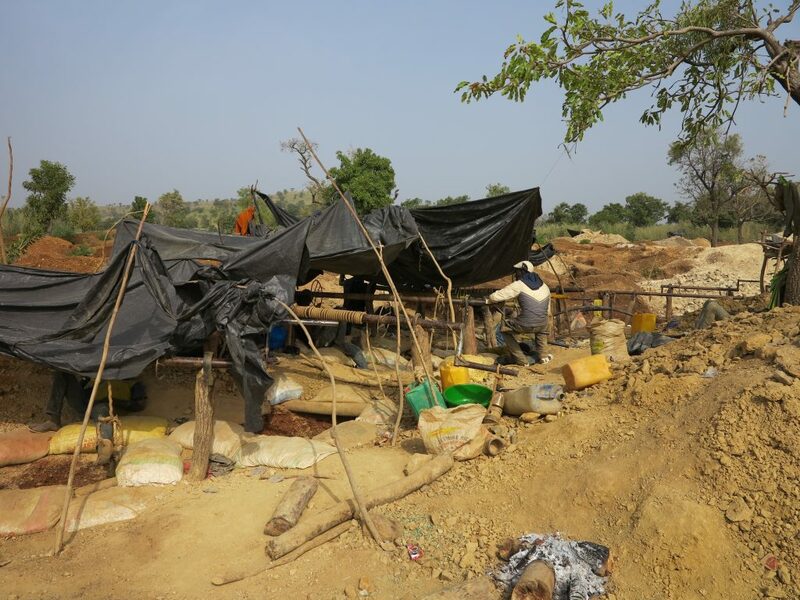 The report, which was based on documents and interviews in Switzerland, Burkina Faso and Togo, and on visits to artisanal mines in Burkina, unveiled that “Togolese gold” is produced under appalling conditions, characterized by a total disregard of international labor and environmental protection standards, and using child labor. Media coverage about the report caused quite a stir in Switzerland, and the Swiss Federal Council initiated an ongoing investigation into the compliance of Swiss refineries with UN standards for economy and human rights. On July 16, 2015, the transitional government of Burkina Faso passed into law a new Mining Code. It includes, among others, the introduction of a new 1.0% tax on the gross revenues to support a Mining Fund for Local Development. However, the texts for the application of the new mining code have not yet passed the ministers’ council. In April 2016, the National Assembly initiated a parliamentary inquiry into mining titles and the social responsibility of mines. The commission published its report in October 2016. The report states that the mining sector is badly organized and that Burkinabè citizens have yet to see any real economic benefits. Based on the analysis of documents, media reports, audits, interviews and field visits, the commission concluded that the Burkinabè state suffered from a loss of profits of almost a billion US dollars (551 163 803 556 FCFA = 920 million USD) through fraud, lack of taxation and non-payment of fees by artisanal and industrial permit holders. The commission noted that permits for mining exploration and exploitation had been issued regardless of existing regulations for environmental protection, or the vicinity to infrastructures such as schools or health facilities. Mining permits had been issued without informing provincial, departmental and municipal administration, and in some cases against official objection by local administration and customary authorities. Local communities affected by mining operations complained about promises not held, damages to fields, dispossession without or with insufficient compensation, and pollution of natural resources. According to the commission, some depleted mine sites had simply been abandoned without any environmental rehabilitation, thereby constituting a “crime against the environment”. Concerning the export of an estimated total of 15-30 tons of undeclared and untaxed gold every year, the commission noted that state authorities are not at all present during the casting of gold before export, so that the officially declared weight of exported gold can easily be manipulated. At least some of the commission’s findings will be followed up by legal action. The ex-minister of mining Salif Lamoussa Kaboré will presumably be sued over his involvement in the Tambao manganese mine affair. The permit for Tambao was issued twice by the government. The CEO of Pan African Mineral, Frank Timis, allegedly paid more than five billion CFA (8.33 million USD) to President Blaise Compaoré’s brother François in order to obtain the permit. The original permit holder, Nice Group International, sued the Burkinabè government in an international court, and the government had to pay a penalty of 15 Mio USD. In an interview conducted by the author and Diana Ayeh on 27 October 2016 in Ouagadougou, the director of the parliamentary commission, Dr Ousséni Tamboura, said he was shocked by the government’s lack of vision and the administration’s inability to manage the mining sector. In addition to unchecked corruption under the old regime, during which some people shamelessly enriched themselves, three core ministries (mining, environment and finances) appear not to have collaborated very efficiently on matters related to mining. The parliamentary commission explicitly blames the incoherence and weakness of the Burkinabè state and has made a number of recommendations, including the creation of a Société de Patrimoine des Mines du Burkina Faso directly attached to the Prime Minister and under control of the National Assembly. Whether the commission’s recommendations will indeed lead to reforms in the mining sector of Burkina Faso remains to be seen, but these recent efforts are at least a demonstration of the new government’s commitment to “clean up” certain matters left behind by the old regime.